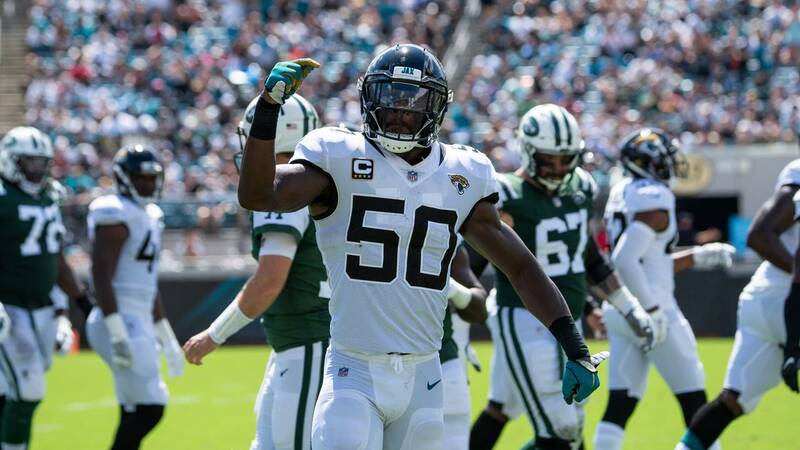 JACKSONVILLE, Fla. - Linebacker Telvin Smith led the Jaguars in tackles with 134 stops in 2018. 2018 season in review: A year after being ranked No. 67 in the NFL Network top 100, Smith didn’t quite play up to that level in 2018. According to ProFootballFocus he was ranked as the 44th best linebacker in the NFL last season. Smith didn’t have a huge drop off in 2018. But coming off an All-Pro season in 2017 a new bar was established. As a whole the Jaguars defense wasn’t bad by any stretch in 2018. They just didn’t play at an elite level like they did in 2017. Status for 2019: Smith along with Calais Campbell are two of the Jaguars leaders not only for the defense but the entire team. Next season Smith has a cap hit of $12.5 million. The chances of him being flat out cut are slim to none. However there have been rumors that the Jaguars would entertain trading him and moving Myles Jack to weak-side linebacker. If Smith returns in 2019 (which I fully expect will happen), he’ll be tasked with trying to return to the elite level of play he produced in 2017.